It’s now the season of Christmas card family portraits. And with that comes the added stress of, “What on Earth do we all wear?!”. For some of you, just the daily task of choosing an outfit that looks good on you, can be a challenge. So then when you’re in charge of coordinating outfits for your whole family for portraits that will then be sent out to all of your family and friend, well you may just be too overwhelming. I’d like to help easy some of that stress. Below are 3 family outfit groupings, and more will be posted over on the Facebook page in the next coming weeks. First, let me introduce myself since I’m one of the hidden behind the scenes members of Twinkle Photo and Birds of a Feather. My name is Laura, and I’m the one who has been editing a majority of the photos since the spring (this fall I’ve been editing only the wedding photos), and I have the beginnings of a style blog and am in the process of starting a personal styling business. I guess I just like making things look good. 🙂 Editing and personal styling is like the icing on the cake. The cake’s good without it, but really, who wants cake without some icing. Here are some tips to make your outfit planning less stressful this season. Forget the days of matchy-matchy. My personal “rule” is that if you wouldn’t all go out as a family in matching clothes on a regular basis, then you should dress like that for your photos. It looks forced and unnatural. Plus, you usually have that one child (or dad) who hates it and is then cranky for the session. Don’t stray too far from the clothes that you wear normally. The kids are happiest if they’re not wearing a new itchy sweater or too many layers. Colors are good. So are patterns. It creates depth and interest in the photos. When everyone’s wearing the same color (especially white), you all blend into each other and it’s hard to see where one person ends and another begins. Plan your color scheme based off of a patterned garment (even if that pattern is on a tie or scarf). It’s okay to mix patterns amongst family members, and even in one person’s outfit. To successfully mix patterns, choose patterns in the same color scheme (black & white is great for beginner pattern mixers). Choose one large print and one small print. Stripes and florals always go together. Animal prints (like leopard) can be considered a “neutral” especially when they’re on a shoe. It’s best to keep really bright primary colors (like red, yellow, and orange) to the lower half of the outfit, or in small amounts. When you wear a solid red, orange, or yellow top, that color is then reflected onto your face depending on the direction of the light, creating funny color highlights and shadows that are really hard to edit out. Now on to the visuals. If you click on the images they will take you to polyvore, where you’ll be able to see where all of the pieces in the outfits are from and how you can purchase them. And here are some lovely past Twinkle families who chose wonderful outfits. Hopefully these tips will help make outfit choosing for your portrait sessions a lot easier and less stressful, and possibly even more fun. Stay tuned to the Facebook page over the next few weeks to see more outfit suggestions to help make the most of your family session. I wonder when looking at this photo above, if you have any idea how terribly awkward it was putting it together. Not the people in it, or the relationships between us or what brings us all together- that is something of magic in the making. But the actual physical taking of this photo, that was a little less than magic…and sort of a mess. It began on a very cold and windy winter afternoon which we will call last Saturday. Some daisy-brained-dreamer, whom we will call myself, had a fantastic idea of taking a team photo of the pretty souls that we had just gathered together. I thought we could aim for something with a springy look, despite the actual temperature outside which was probably 30 degrees. Lisa and I trotted out to the battle the wind, armed with a rickety stand, duct tape, and this funky cool backdrop that Laura had brought to the party. Fighting the freeze, we bravely duct taped her up. (And by her I mean the backdrop, not my friend Lisa. Although I must admit we were once guilty of duct taping a boy to a tree.) Taking time to position it just right in great lighting, we then watched as the wind kicked our backdrop to the cold ground- it was down for the count. So, we move promptly moved to an unthought- out plan B… and propped it up against the wall by the huge garbage cans. (A perfect place for a group photo!) Danielle ventured out after us, attempting to set up the tripod. The only problem was that I had been so focussed on our team family shoots in the morning that I had forgotten to get the attachment for my camera… Cue the folding chair and Bob the Builder stuffed doll to hold up my beautiful $3,000 camera and lens. Next we call the rest of the girls outside in the winter cold to fake this hint of spring photo. Laura poses us on a whim, and we click the remote to take our much anticipated “Team Photo”. Alas, the remote doesn’t reach- So we set the timer and I sprint back and forth from the camera to the pose. 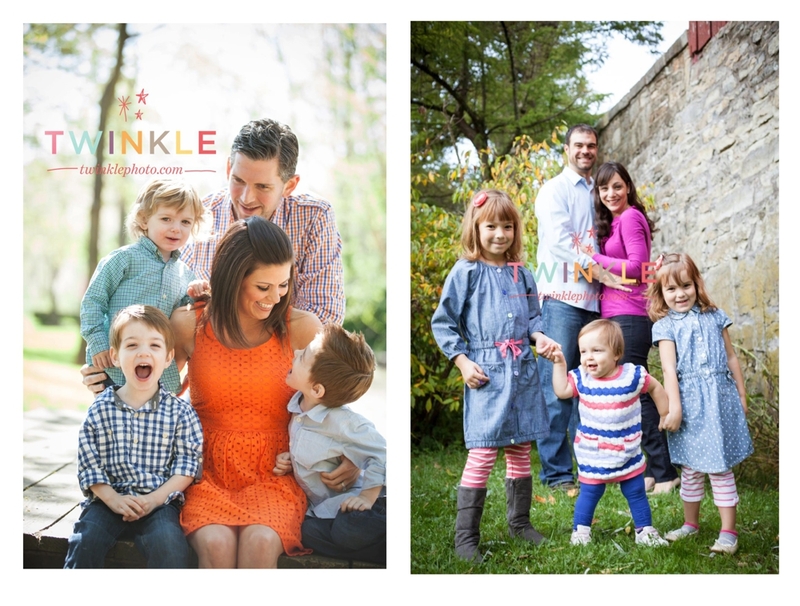 And there we have it – Team Twinkle (and friends) 2013! The second after this click we all darted back in the house, throwing coats on and grabbing cameras- Danielle with tripod in hand, Tara and Magi rescuing the precious folding chair and Bob stuffed animal. (Ironically enough, only minutes after retreating to the house, my hubby- the one missing Team Twinkle member pulls into the drive way. Had we waited 5 minutes longer he would have been able to take an awesome photo of us all!) Oh well, as photographers it is part of our jobs to adapt! In truth though, all awkwardness aside,this photo makes my heart pretty happy- it really does capture a hint of spring because there is so much beauty and talent in it just waiting to unfold. Team Twinkle is new- and jam packed with talent and potential. A creative powerhouse of passionate photographers, writers, dreamers, editors, organizers, designers, baby lovers, mamas, and friends- who are united by the love of beauty, the art of family, and the call to faith. As a team we desire to illustrate that in the world around us. It’s a new beginning. Until now Twinkle Photo was pretty much just me but now we are a team. I’ve never really been a team player. A born introvert, I could live inside my own head most of the time. A clumsy kid, I was discouraged from sports so I became well acquainted with “going at it alone” and modestly successful too. This past year however, I have been so very blessed- by all of you, my friends and clients- and by God! 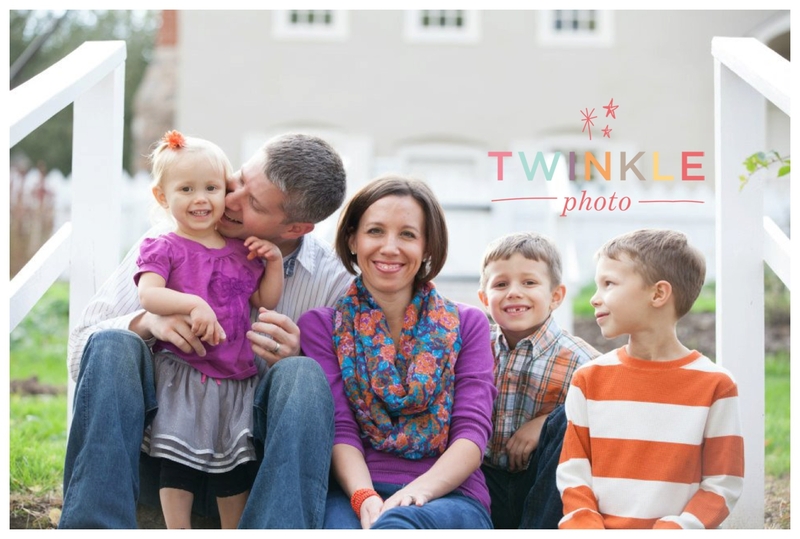 There was more business and more work than I could juggle without sacrificing my family. My personal limitations were met with unlimitted opportunity, and it sent my heart dreaming. I have been overwhelmed with gratitude for the amazing opportunity to work with your families, and at the same time striving for balance in my own. So I took it to prayer. Over the course of the year, I kept hearing the same word, “delegate”. I’ve never had a desire to lead for the sake of leading- but for as long as I can remember I have carried more visions in my heart than hours in my days to fulfill them. As God opened my mind to the potential of delegating tasks… He also highlighted incredibly talented and lovely people around me that could be appointed to those positions. 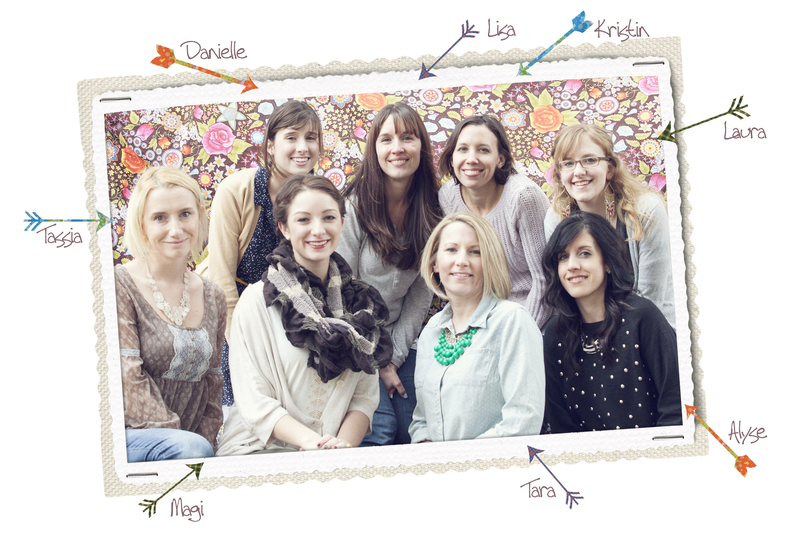 And so it is with courage, gratitude and excitement that I introduce you to our newly formed Team Twinkle. A photo company is a small endeavor, but I firmly believe that small things become great when done with great love. Our hearts are in this thing. I am honored and excited to lead Team Twinkle- I greatly look forward to seeing vision, talent and time multiply to bless our community much more than I would have ever been able to do by myslef. I can’t thank these beautiful ladies enough for venturing out into this big world of business with me… I could sing praises for each heart on this team and the beautiful talents they bring to our table- and I will, next week. We’ll be posting a blog about each member of the team, why they were appointed… and how I believe they that they will be able to create something of loveliness in the context of Twinkle- for their family and yours- for our team, and for our community.